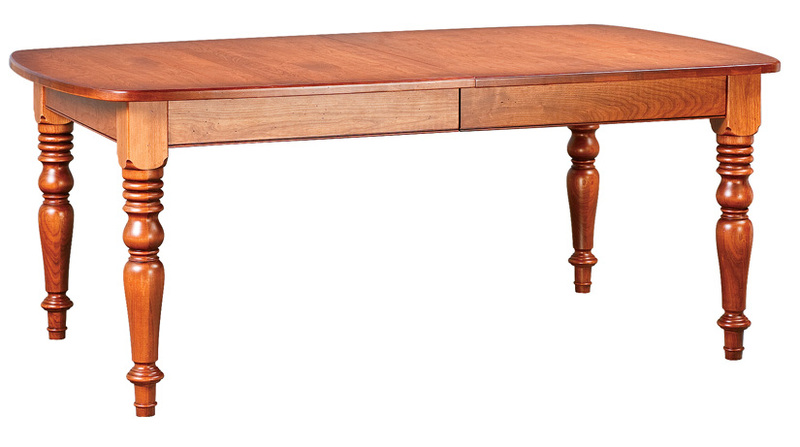 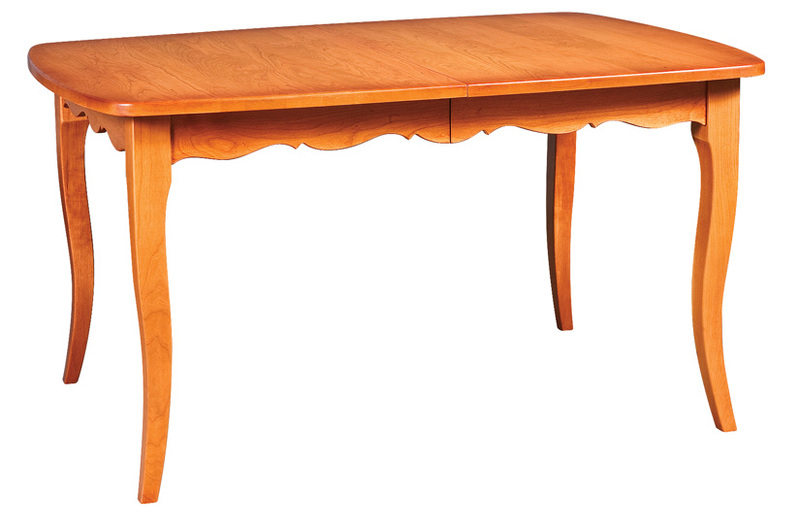 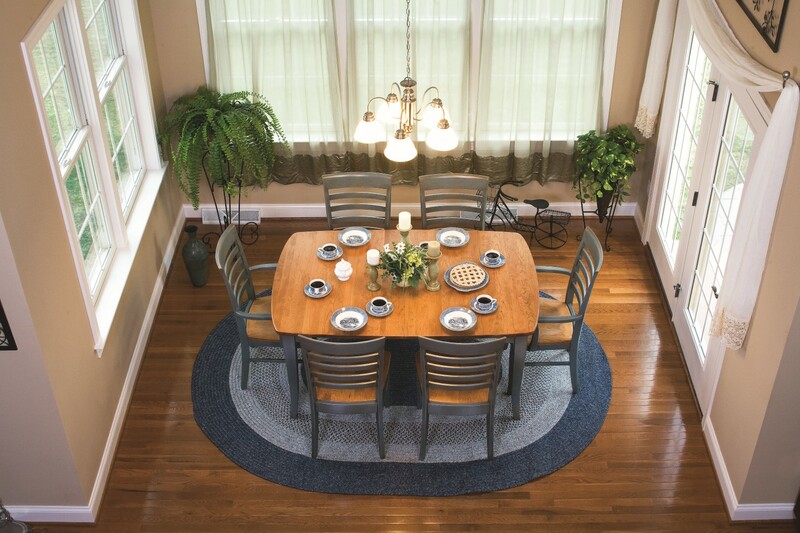 The yarmouth dining table has a unique shape; its gently curved sides eliminate sharp corners to bang into. 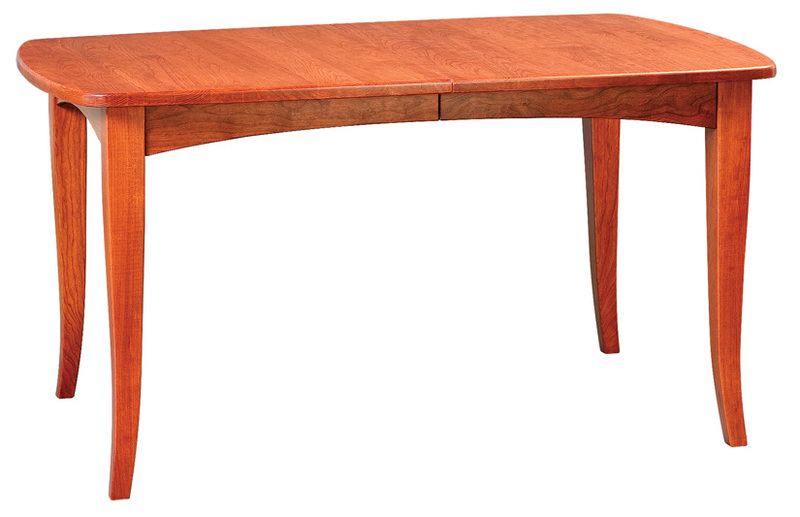 Available in three sizes, all with and extension leaf, you’re sure to find the perfect one for your dining area. 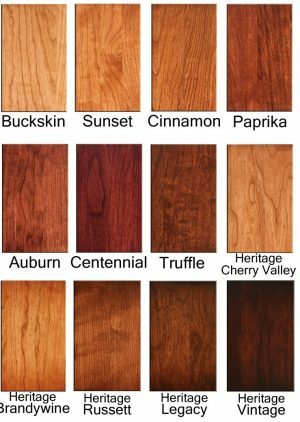 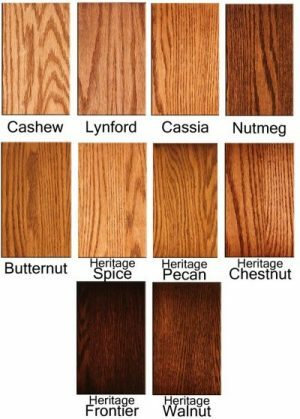 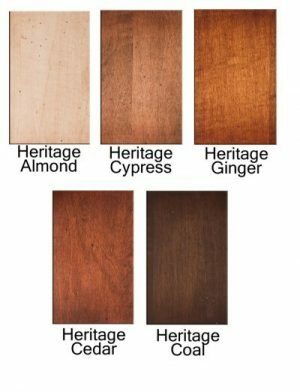 Available in solid oak, maple, or cherry with your choice of stain and/or paint colors. 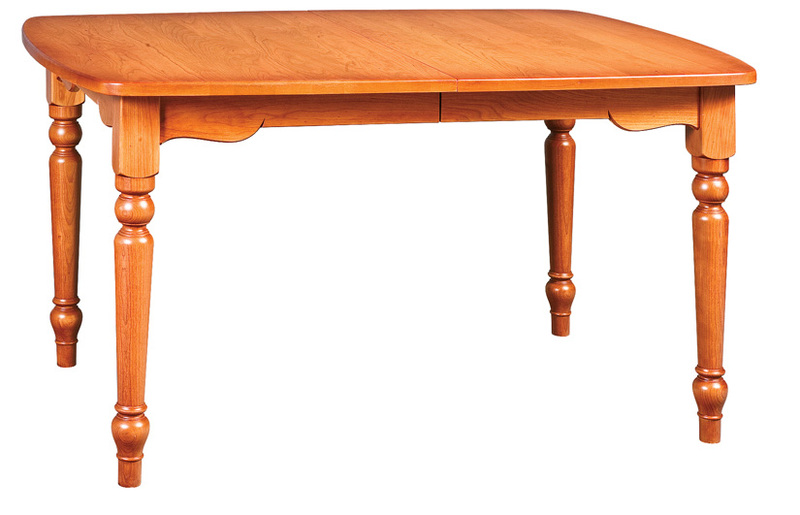 Choose the leg style to customize your table.